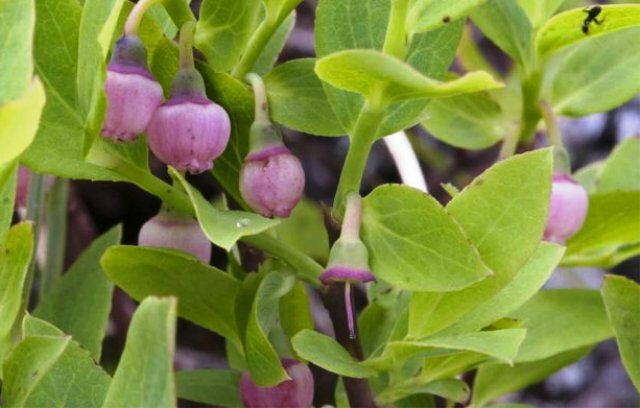 Alaska blueberry is ommon in the Cascades and coastal mountains from Alaska to northwest Oregon. It grows all of Alaska except portions of the northern coastal plain and western Aleutians. 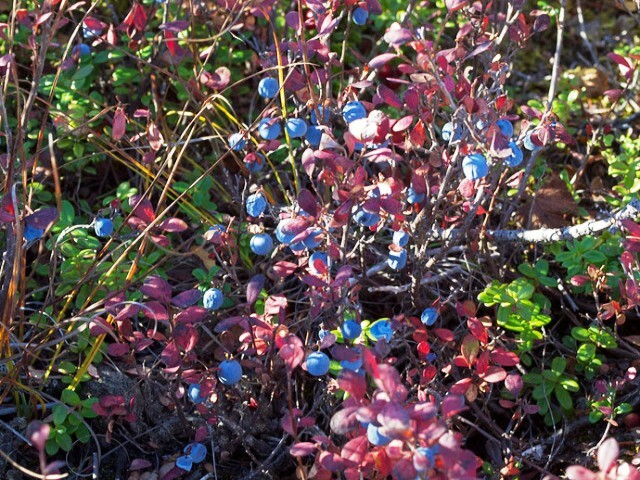 It is the most wide spread of wild growing blueberries in Alaska. Perennial shrub, taller than the rest of blueberry shrubs growing in Alaska. Flower stalks straight and longer. Fruits a berry, blue, edible and sweet. The fruits are eaten fresh. These are also made into jams and jellies and added into cakes and pies. The fruits can also be sundried for use later. Plants are perennial, producing new growth each spring. Natural regeneration is mostly by adventitious rooting of above-ground stems where they contact the soil. Greenhouse propagation is mainly by seeds which require a cold moist stratification period to germinate. Propagation by stem cuttings has been successful using current year’s growth with bottom heat and 0.3% IBA powder.